On March 17th (St. Patrick’s Day) at high noon, Empire State NORML (the New York State chapter of the National Organization for the Reform of Marijuana Laws (NORML)) will remind New Yorkers that marijuana is a safer alternative to alcohol for St. Patrick’s Day celebrations. “While scores of New Yorkers are out getting hammered, we want to remind the Big Apple that there is a safer, greener and cleaner choice for adults: marijuana,” said Doug Greene, Legislative Director of Empire State NORML, who organized the event for the first time in 2010. “In an era of budget cuts and worsening public health, why is the Bloomberg administration driving New Yorkers to drink while spending tens of millions of dollars per year arresting peaceful, healthy cannabis consumers? New York City made over 50,000 marijuana possession arrests last year alone, and over 500,000 since 1996,” said Greene. Marijuana arrests are 15% of all arrests in New York City. The NYPD is now jailing people for marijuana possession at the rate of nearly 1,000 arrests a week. With 2.7% of the U.S. population, New York City represents 6% of nationwide marijuana arrests. Greene was first inspired to organize “Marijuana is SAFER” events after reading the book of the same name (subtitled “So Why Are We Driving People to Drink? ), co-authored by Paul Armentano, the Deputy Director of NORML, by Mason Tvert, Executive Director of SAFER (Safer Alternative for Enjoyable Recreation) and by Steve Fox, Director of State Campaigns for the Marijuana Policy Project. · Dr. Harry Levine, Professor of Sociology at CUNY Queens College, the co–author of the NYCLU report “Marijuana Arrest Crusade: Racial Bias and Police Policy in New York City, 1997-2007.” He is also the co–author of a new report on the costs of New York City’s marijuana arrests, which will be released on March 15 by the Drug Policy Alliance. · Tony Newman, Director of Media Relations for the Drug Policy Alliance (DPA), the nation’s leading organization calling for alternatives to the drug war and policies based on science, compassion, health, and human rights. · Daniel Jabbour, New York State Coordinator for Students for Sensible Drug Policy (SSDP), an international grassroots network of students who are concerned about the impact drug abuse has on our communities, but who also know that the War on Drugs is failing our generation and our society. · Chris Goldstein, Board Member, NORML-NJ/Coalition for Medical Marijuana-NJ (CMM-NJ). Chris is a radio broadcaster and marijuana advocate. Chris is considered an expert on the topic of marijuana and can comment on New Jersey and national issues regarding cannabis. A group called Legalize Louisiana is leading statewide marches seeking to change Louisiana laws and legalize marijuana. A bill to legalize marijuana was quietly introduced last week. Sponsored by Amherst Democrat Ellen Story, the bill could reap thousands of dollars for the state in tax revenue. "Reps come up to me and say thank you so much for doing this Ellen. I support you, but I can't be public about it. Legislators are afraid of being seen as soft on drugs," Story says. U.S. Rep. Barney Frank spoke at Maine’s first Medical Marijuana Expo and said that the current laws against marijuana use should be revoked. "People who make a personal decision to smoke marijuana should not be subject to prosecution," said Frank. "This is the kind of fight that's worth making. It's winnable. Most American people think it’s sensible, and are for it," said Frank to the standing-room only crowd as he received the first-ever Patients’ Choice Award — a glass trophy in the shape of a marijuana leaf. Last week, Moroccan human rights activist, denouncer of corruption, and marijuana legalization advocate Chakib El-Khayari began his third year in prison for "offending the Moroccan state." El-Khayari, president of the Human Rights Association of the Rif region in Morocco, has been jailed since February 17, 2009, and now, European drug reform activists and international human rights groups are calling for his release. El-Khayari, who is also known for defending the rights of the Amazigh (Berber) people and African migrants passing through en route to Europe, aroused the ire of the Moroccan state for declaring to the press that the Moroccan military and police are collaborating in the trafficking of hashish to Europe. In 2008, he also took the path-breaking step of initiating a national debate on the legalization of industrial hemp and medical marijuana. 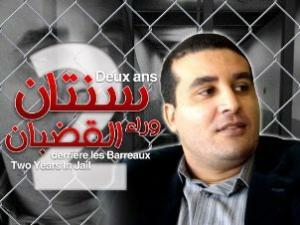 El-Khayari was arrested on February 17, 2009, and has been jailed ever since. He was convicted of "offending the Moroccan state" for his statements about the involvement of high-ranking officials in the police, the army, and the government in the hash trade. He was also convicted of violating Morocco's foreign exchange laws for depositing in a bank in Madrid a check from a Spanish newspaper for an article he had written. In an open letter to Mohamed VI, the King of Morocco, the European Coalition for Just and Effective Drug Policies (ENCOD) is calling for El Khayari's immediate release. It is also calling on activists to print out and sign the letter, sending copies to the king and to the Moroccan embassy in their countries. "Nothing justifies the heavy sanction that has been applied to Chakib El-Khayari," the letter says. "It is a manifest act of repression that is contrary to the international instruments to protect human rights that were ratified by Morocco and in particular, the international agreement on civil and political rights between Morocco and the European Union. We denounce firmly the detention of Chakib El-Khayari and urge his inmediate and unconditional release." It's not just drug reformers. Five months ago, Amnesty International called for El-Khayari's release, saying it considers him a prisoner of conscience, "solely detained for his anti-corruption statements and his human rights activities." The call for El-Khayari's release comes as the Moroccan government teeters under the wave of popular unrest that is sweeping North Africa and the Middle East. Five people were killed during widespread protests seeking constitutional reform Sunday. In an editorial appearing in last Sunday's print edition, Washington state's largest circulation daily newspaper has called on the state legislature to legalize marijuana. 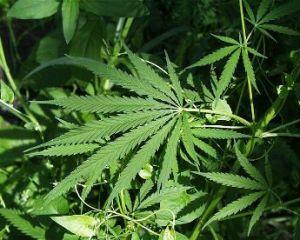 "Marijuana should be legalized, regulated and taxed," the Seattle Times editorial board wrote. The endorsement comes as the legislature ponders House Bill 1550, which would do just that. It also comes just days after a similar endorsement from first term Seattle City Attorney Peter Holmes, who published an op-ed titled Washington State Should Lead on Marijuana Legalization in the Times Thursday. Legalization is within reach in Washington, according to a SurveyUSA poll released late last month. That poll had support for marijuana legalization in general at 51% in the state, although that figure dropped to 47% when respondents were asked if they supported marijuana being sold through state liquor stores, as HB 1550 envisions. In its Sunday editorial, the Times said the Evergreen State could take the first step toward ending pot prohibition nationwide. "The push to repeal federal prohibition should come from the states, and it should begin with the state of Washington," said the Times. The Times noted that Washington state had been in the vanguard of medical marijuana legalization and that Seattle had led the move to make adult marijuana possession offenses the lowest law enforcement priority. "It is time for the next step," the Times said. Declaring that "marijuana is available now," the Times declared that "prohibition has not worked" and has imposed numerous costs -- to people arrested and imprisoned, in wasted law enforcement resources, in corruption and "disrespect for the law," in encouraging a criminal lifestyle among youth, and in lost tax revenues. Although legalization would put Washington at odds with federal law, leading to a political and legal fight, somebody has to do it, and it might as well be Washington, the Times said. Washington state Rep. Roger Goodman (D) has announced that he is seeking the Democratic Party nomination to challenge US Rep. Dave Reichert (R), a two-term congressman who represents Washington's 8th congressional district. Although he doesn't emphasize it heavily on his campaign web pages, Goodman is a champion of drug policy reform. His reform record is long and impressive. An attorney, Goodman served as the executive director of the Washington State Sentencing Guidelines Commission in the late 1990s and was elected to the National Association of Sentencing Commissions. While with the state commission, he published major reports on prison capacity and sentencing policy, helped to increase availability of drug treatment in prisons, and shepherded 14 other sentencing-related bills through the legislature. Goodman followed up the sentencing stint by leading the King County Bar Association's Drug Policy Project, which coordinated a groundbreaking initiative to take a critical look at drug laws and promote cheaper, more effective, and more humane drug policies. In doing so, he helped create an impressive coalition of over 20 professional and civic organizations that has spurred the legislature to reduce imprisonment of drug offenders and shift funding into drug treatment. A state representative since 2006, Goodman is cosponsor of a marijuana legalization bill currently before the legislature, and is supporting a pending medical marijuana dispensary bill. Last session, he helped push through a 911 Good Samaritan drug overdose prevention bill, and is seeking similar legislation to help prevent alcohol overdoses. He continues to work for sentencing reform in the legislature as well. While Goodman is aiming at the 8th congressional district, that could change because of redistricting. He told the Chronicle he could end up in one of three different districts, but said he was confident he could win in any of them.